BRIEF | Due to the success of the Alice House Campaign ‘Win a website worth £2k’ in December, Alice House asked us to work on their new campaign. 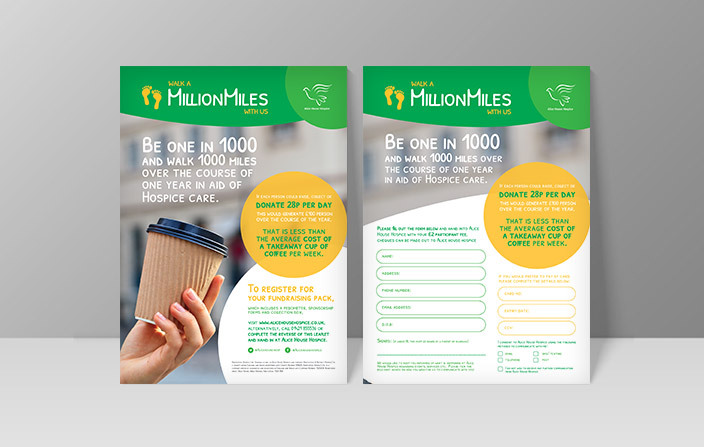 The campaign is called ‘Million Miles’ and encourages people to walking as many miles as they can over the course of the year, while raising money for Alice House Hospice. 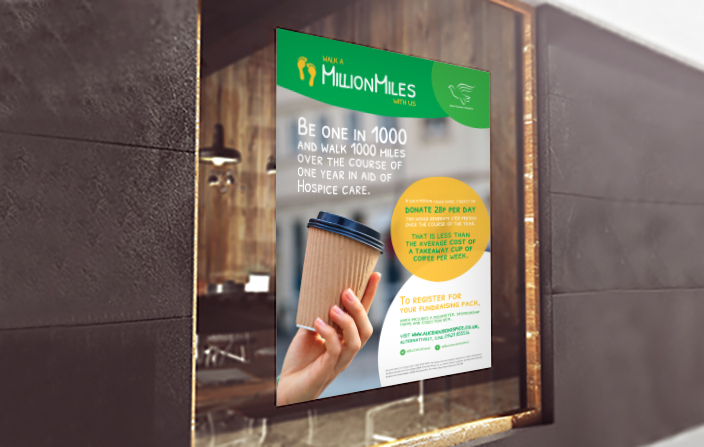 Their overall goal is to get to 1 Million Miles.